A view of Whitley Bay station from the east end taken at around 08:35 on a June morning in 1969. 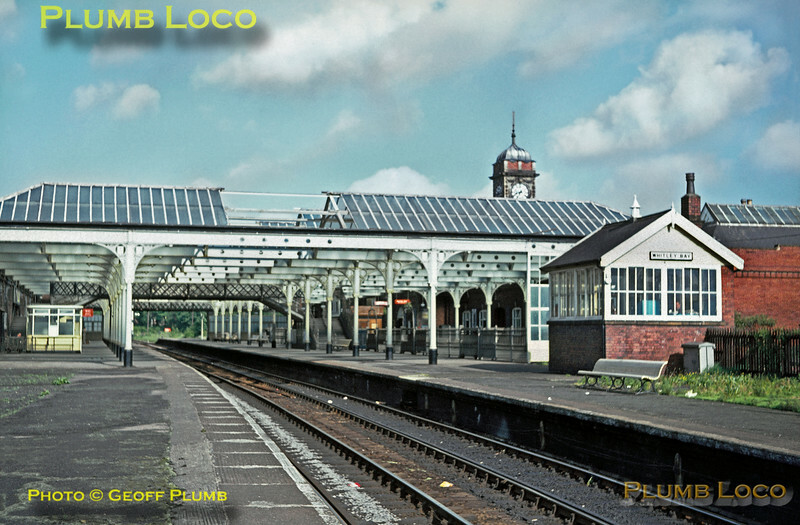 This station replaced the original, built in 1882, after the North Tyneside Loop (Coast Circle Line) was electrified in 1904 and a larger station was required for commuter and tourist traffic. This station opened in 1910 and is still in use as part of the Tyne & Wear Metro system, now with overhead wires, from August 1980. The LNER EMUs introduced around 1937 were deemed to be life-expired and were phased out in favour of DMU working over a two-year period, the last EMU working being on 17th June 1967, after which the line was de-electrified. Slide No. 3868a.